Opening a compound-savings account is an excellent way to build an emergency fund and save for short-term goals. The power of compounding means your money can grow faster, allowing you to build up a significant nest egg sooner. But to get the most from your savings account, you need to shop around carefully for the highest rate and the best terms. Check your local newspaper for bank grand openings. 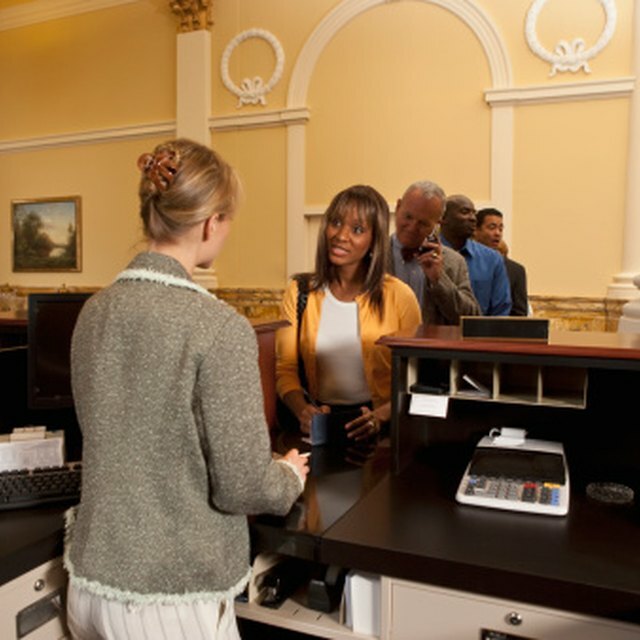 Banks often offer specials for new customers who open checking and savings accounts. You could get a free gift, or even a cash bonus, for opening your compound-savings account at such a grand-opening event. Contact banks in your area to ask about their savings accounts and the interest rates they pay. Get the effective interest rate, since that rate includes the effect of compounding on your return. Compare the rates available at various banks and credit unions. Compare the local rates you find with the rates of Internet banks. Online banks can often offer higher interest rates due to their lower operating costs and more efficient cost structures. Compare the minimum required balance for each bank you're considering, whether it exists in your hometown or only in cyberspace. Complete the application for the compound-savings account, either in person at a brick-and-mortar bank or online at an Internet bank. Provide your name, address, phone number and Social Security number for the application. You also need an acceptable form of ID, such as a driver's license, to prove your identity. If you open the account locally, the bank representative makes a copy of your ID. If you open your account online, you can simply enter your driver's license number and the state where it was issued. Fund your new compound-savings account by writing a check from your current checking account or by transferring the funds directly from an existing bank account. Consider setting up an automatic monthly transfer from your regular bank account to your savings account — this puts your savings on automatic and helps you build your nest egg faster.